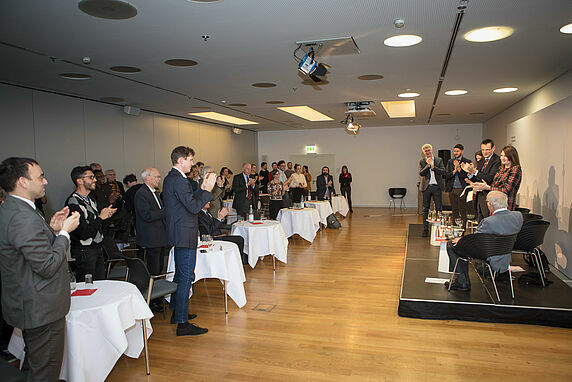 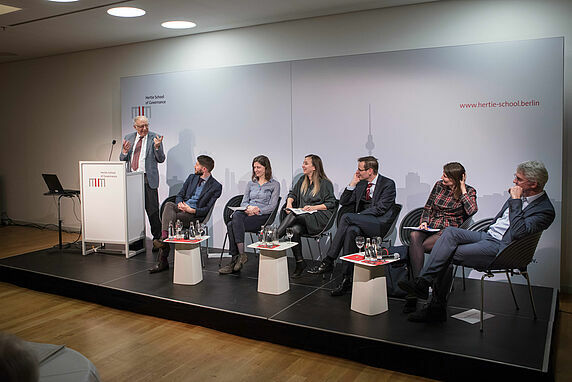 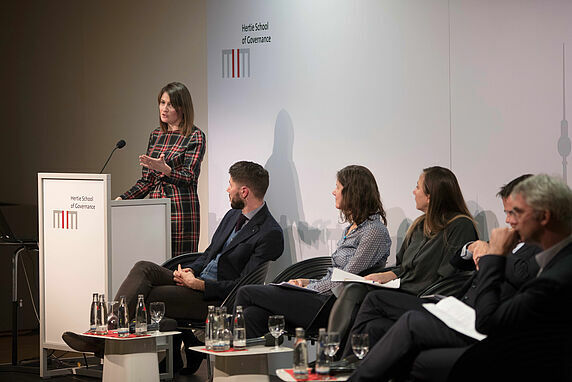 The Hertie School event “The Political in the Economy and its Law” on 5 December brought together experts from Europe and the US for a symposium honouring Christian Joerges. 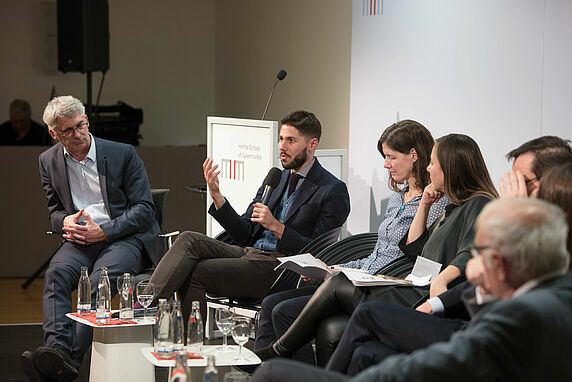 Panelists discussed reconciling economic rationality and political legitimacy and where such reconciliation could take place. 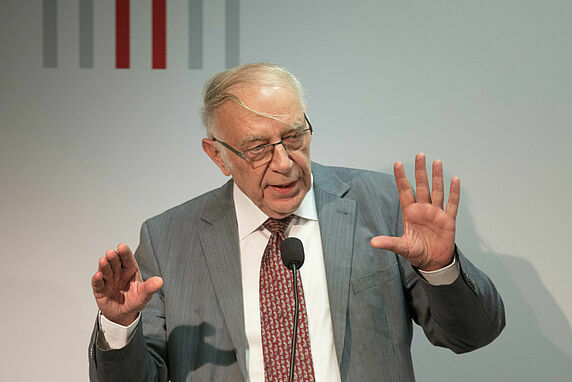 Christian Joerges is Professor Emeritus of Law and Society at the Hertie School of Governance. 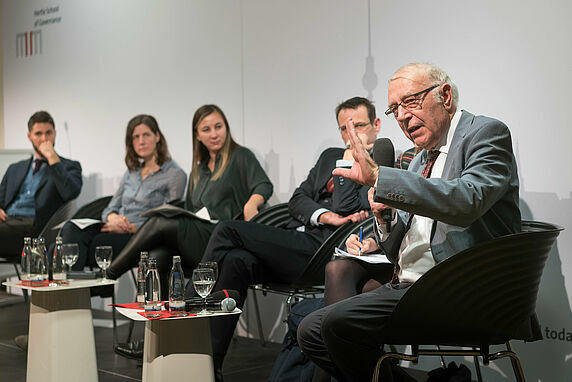 Previously, he was Senior Professor for Law and Society from 2013 until 2018 at the Hertie School. 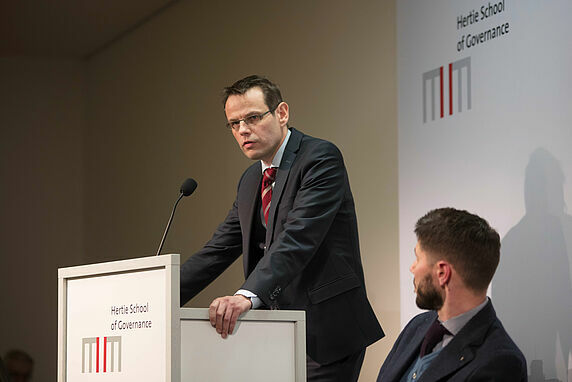 His research focuses on economic ordering through law at the national level, as well as European integration and globalisation. 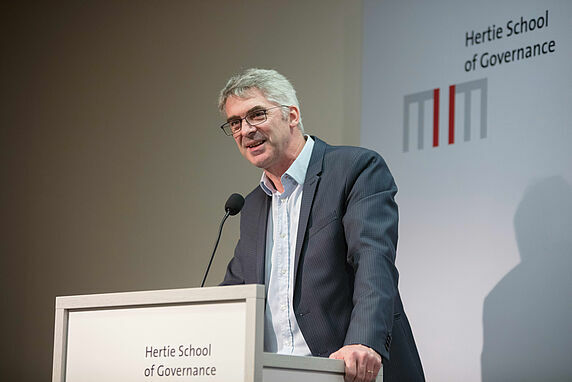 His current projects include the European crisis and transnational trade governance. 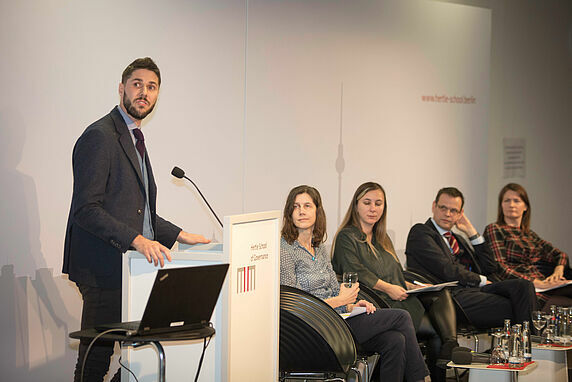 He is also a Co-Director of the Centre of European Law and Politics at the University of Bremen. 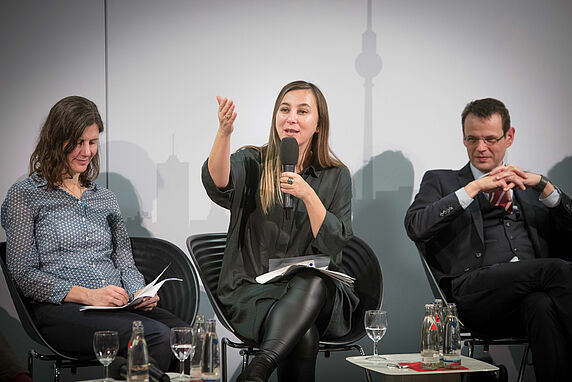 Discussants included Sabine Frerichs, Professor of Economic Sociology at the Vienna University, Steven Klein, Assistant Professor and University Term Professor of Political Science at the University of Florida, Claire Methven O’Brien, Chief Adviser for Business and Human Rights at the Danish Institute for Human Rights, Jürgen Neyer, Professor for European and International Politics and Vice-President for International Affairs at the European University Viadrina and Florian Rödl, University-Professor for Private Law, Labour Law and Social at the Freie Universität Berlin. 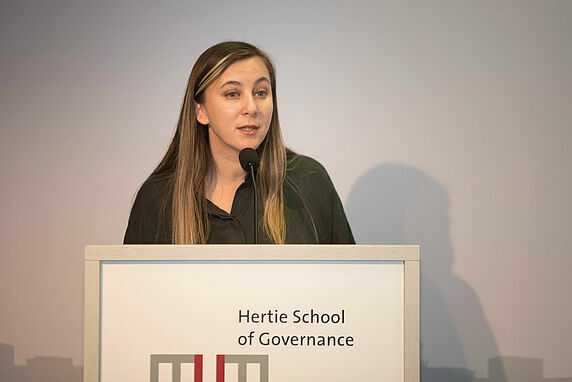 The event was chaired by Başak Çalı, Professor of International Law at the Hertie School of Governance and Director of the Center for Global Public Law at Koç University, Istanbul.